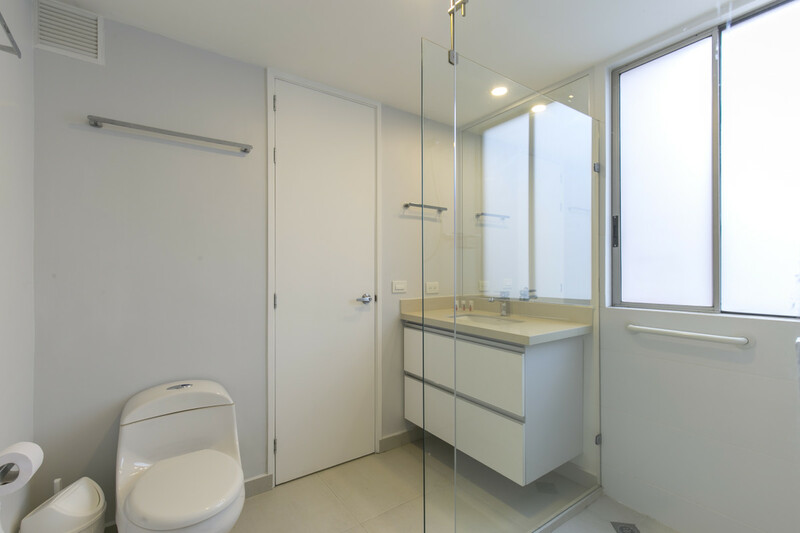 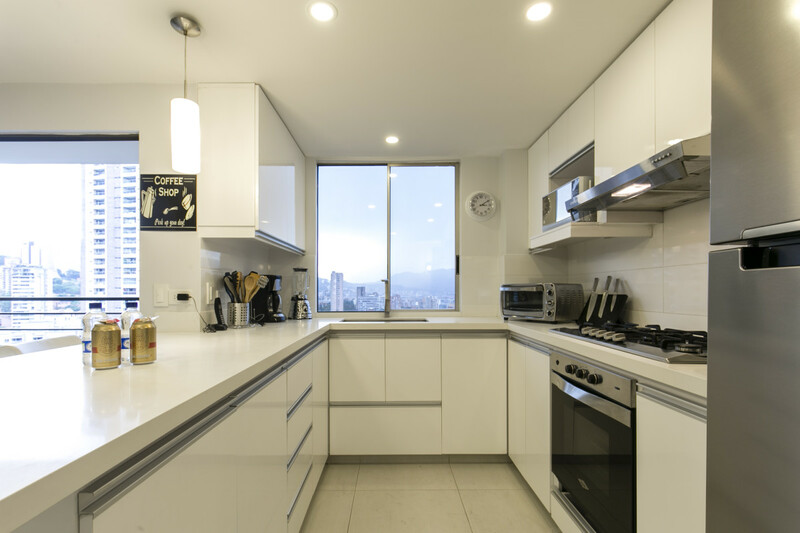 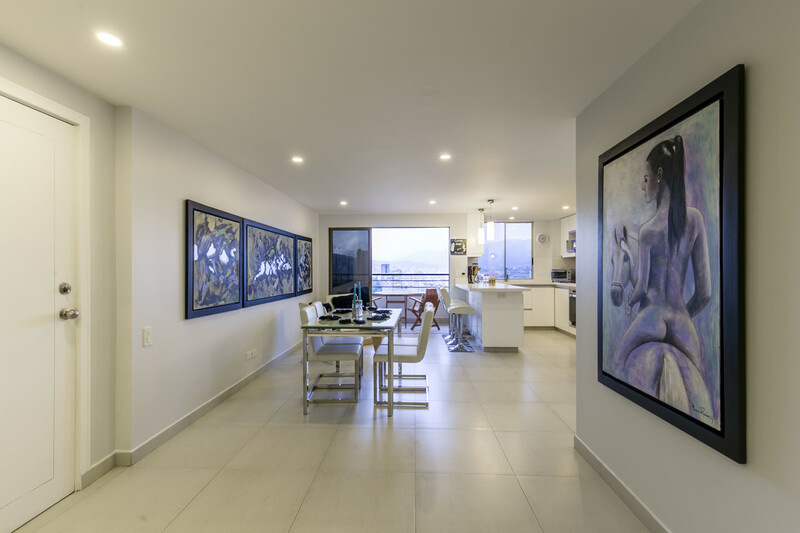 This beautiful 2 bedrooms, 2 bathrooms penthouse is located on the 23rd floor of the El Vergel building in Provenza. 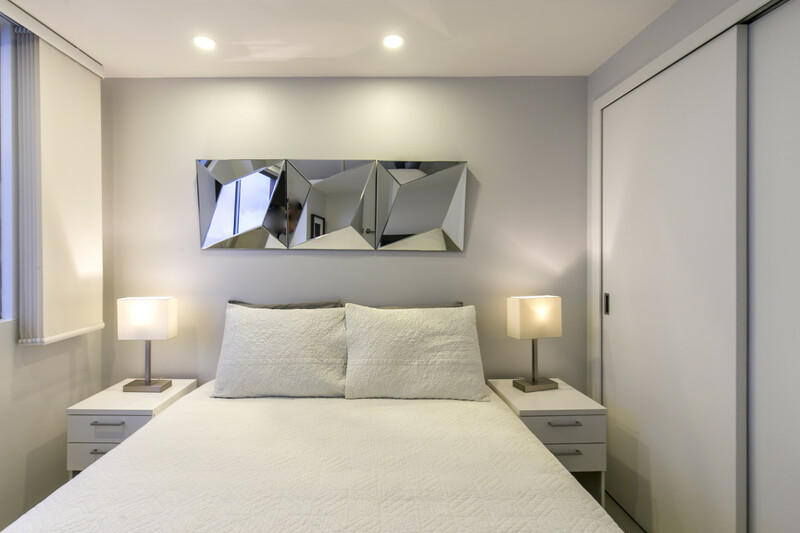 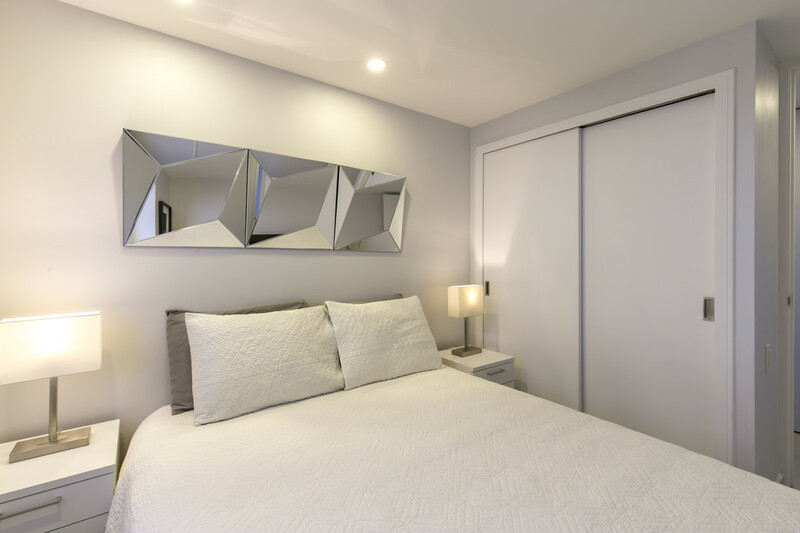 The master bedroom features a cozy queen size bed, TV, desk and chair to comfortably work from home, black-out curtain if you want to sleep in, spacious walk-in closet and a private bathroom. 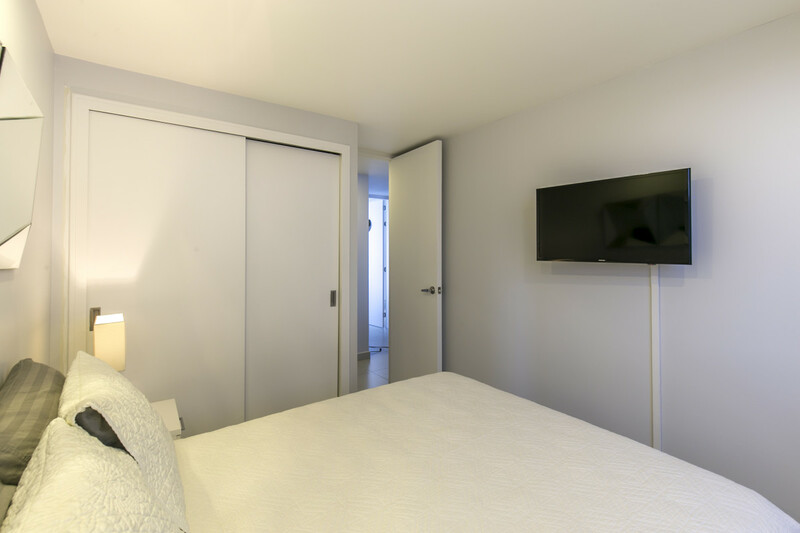 The second bedroom also features a queen size bed, TV, black-out curtain, closet and can access the guest bathroom with a shower. 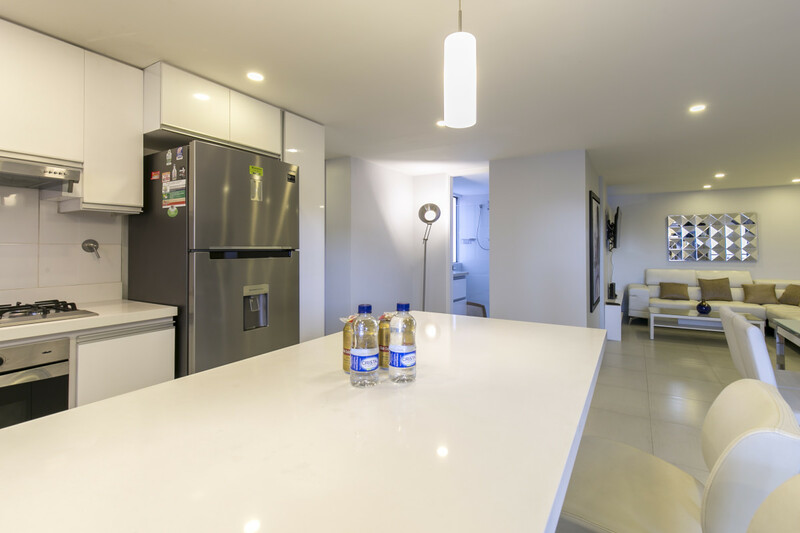 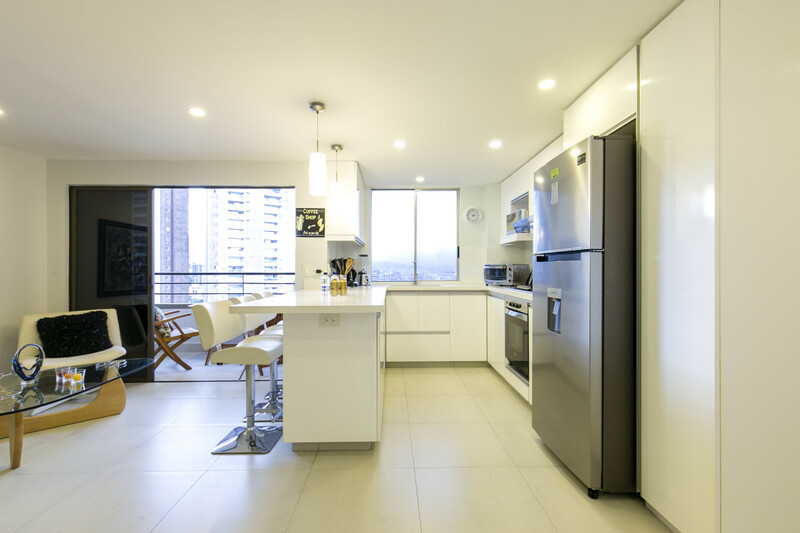 The kitchen is open and fully equipped with all the necessary appliances for home cooking. 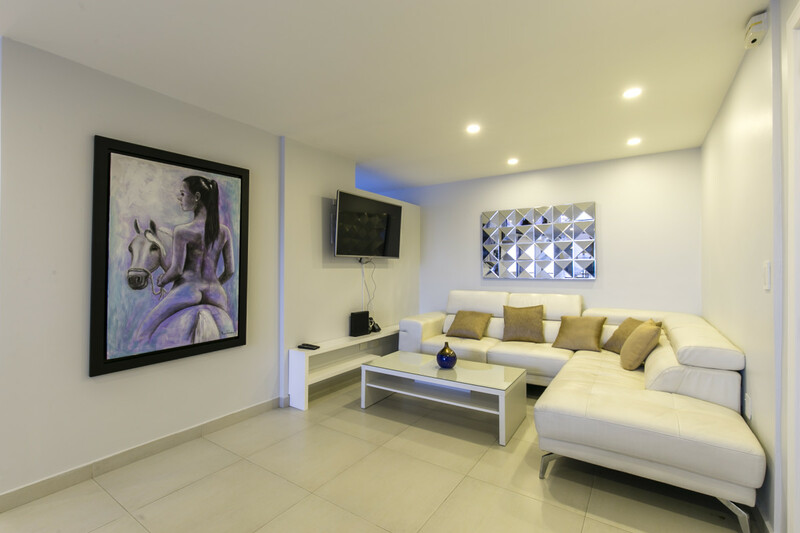 The living room is bright and spacious, ideal for enjoying time with friends. 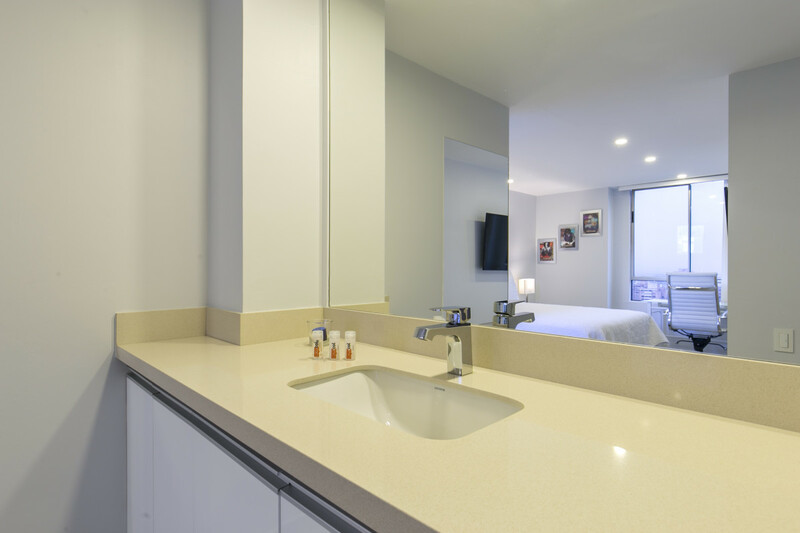 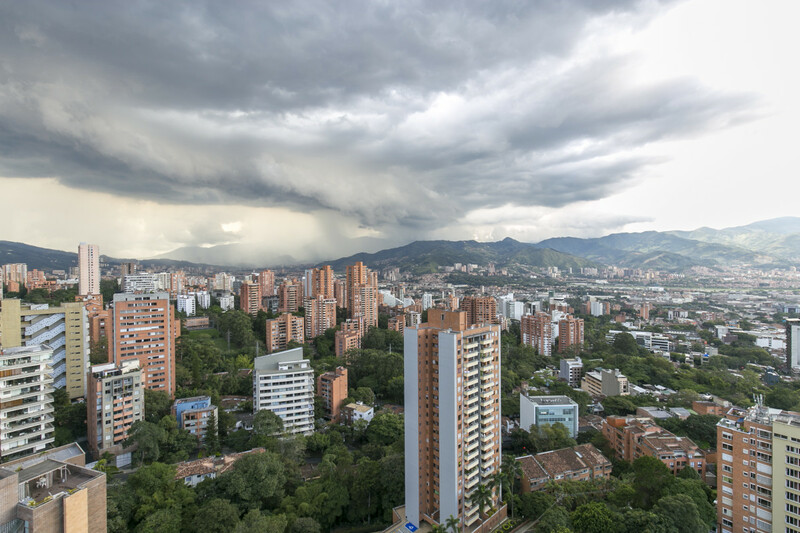 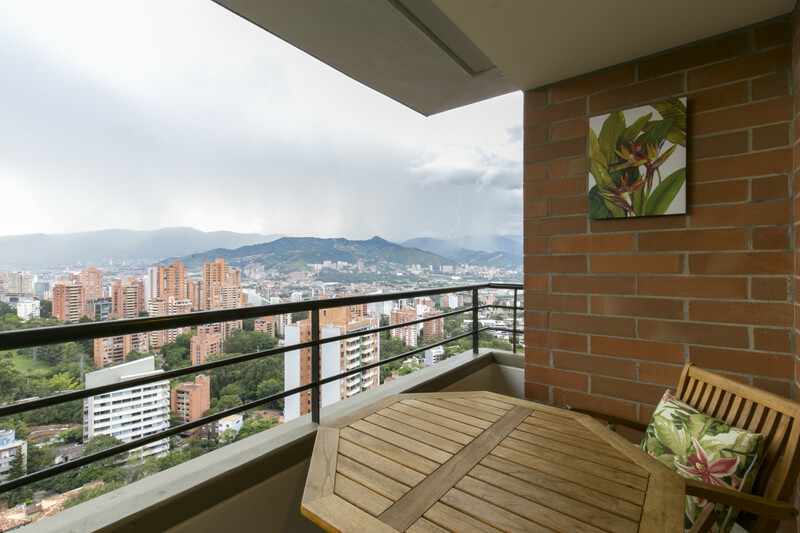 The balcony provides fantastic views over Medellin from the top floor of the building, ideal for both early breakfasts while enjoying the sun shine and dining at sunset. 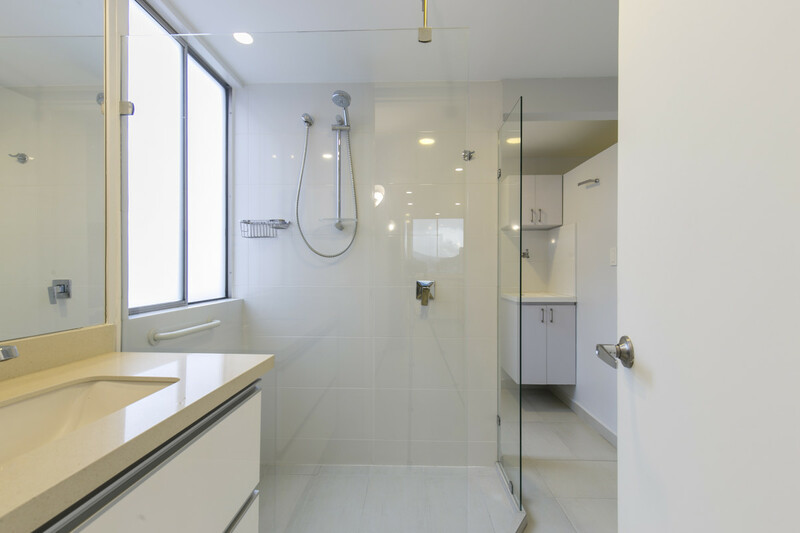 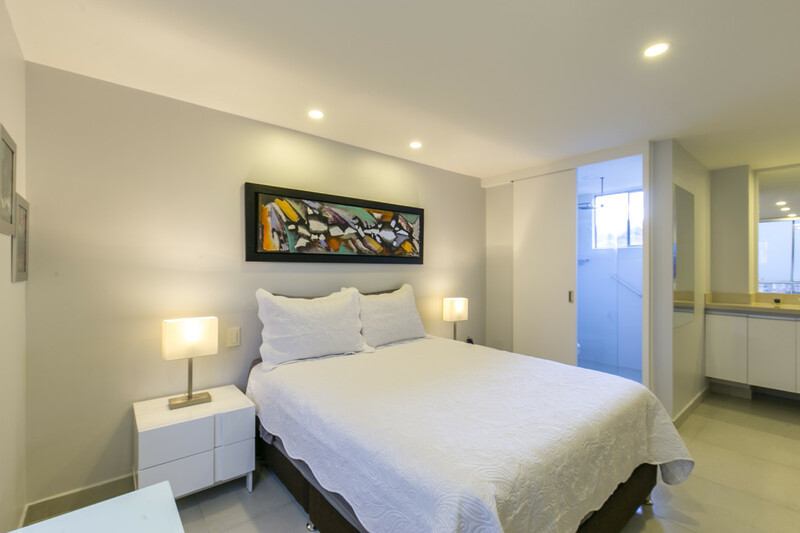 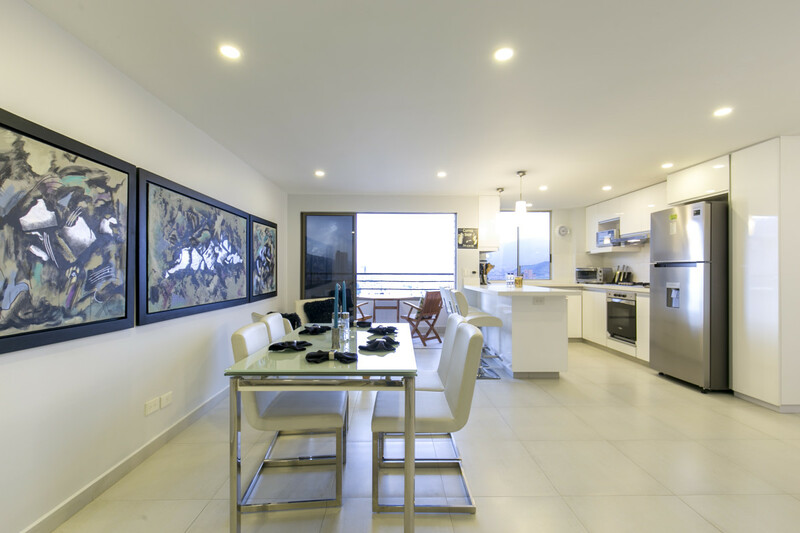 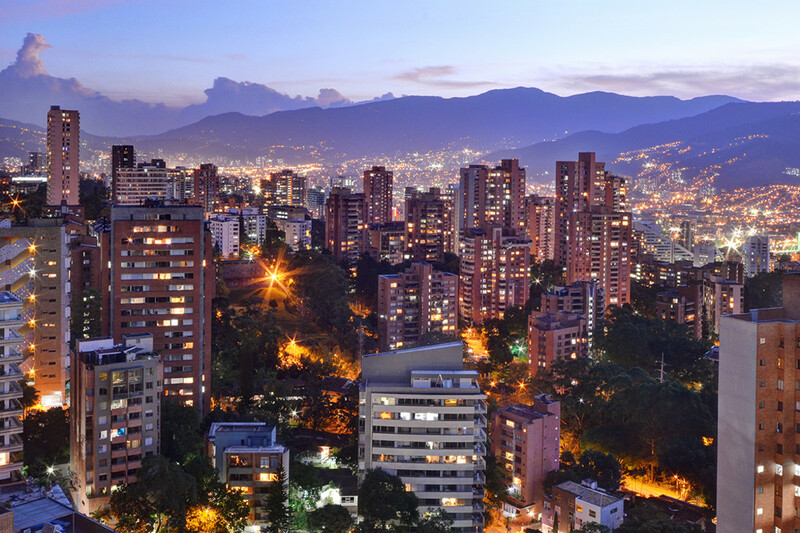 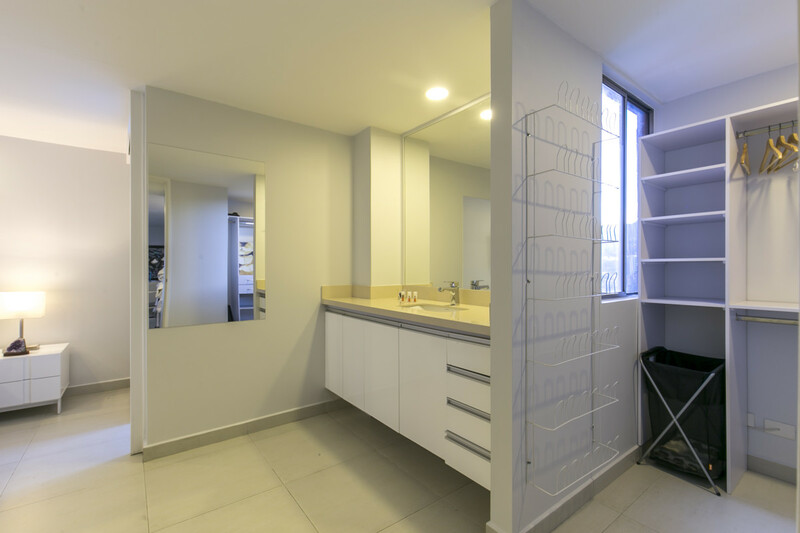 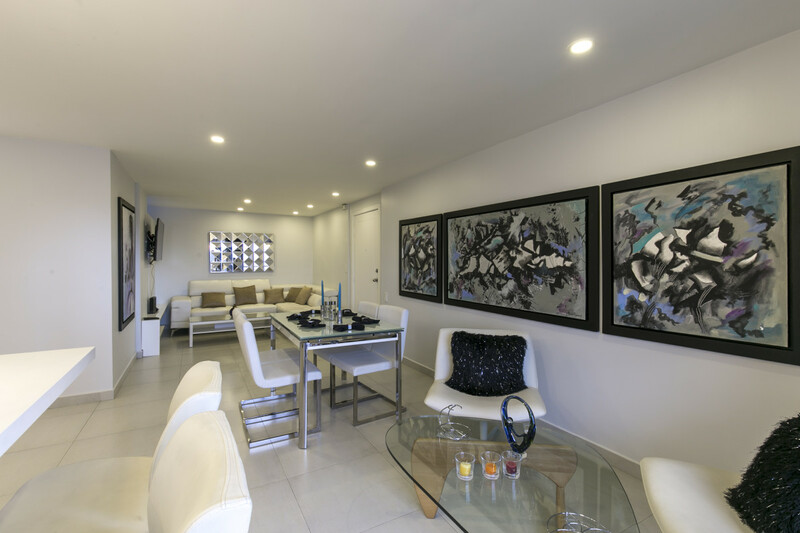 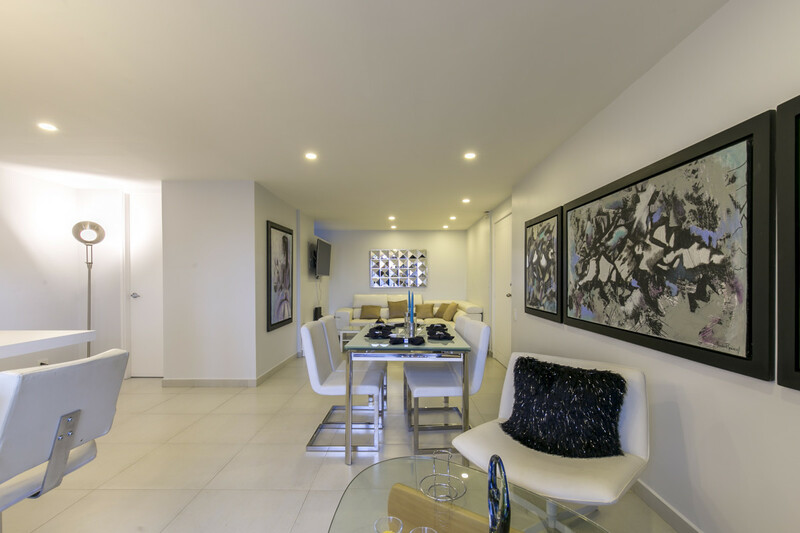 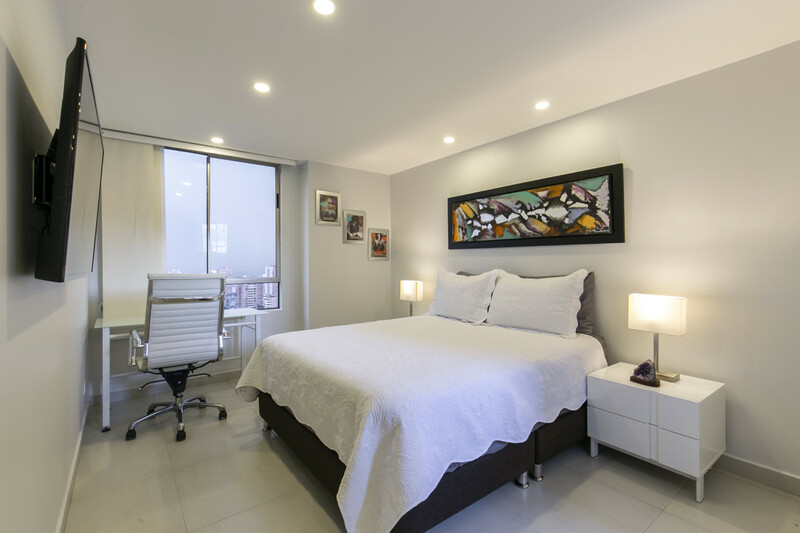 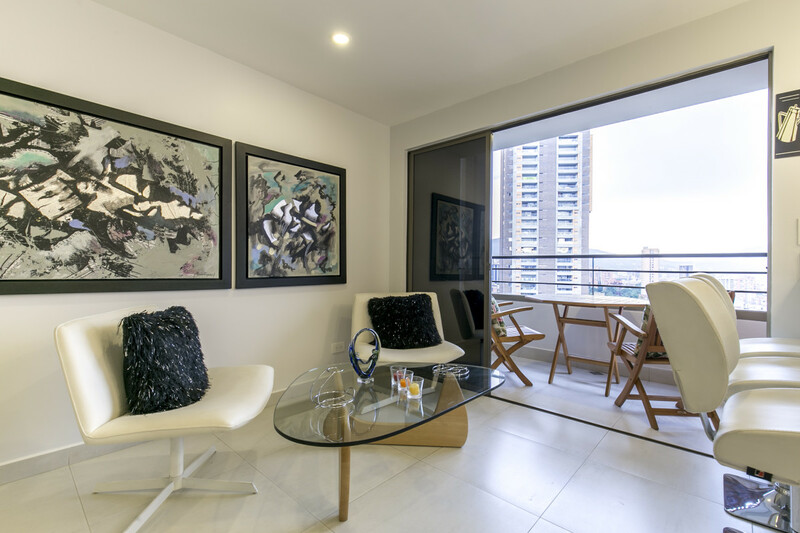 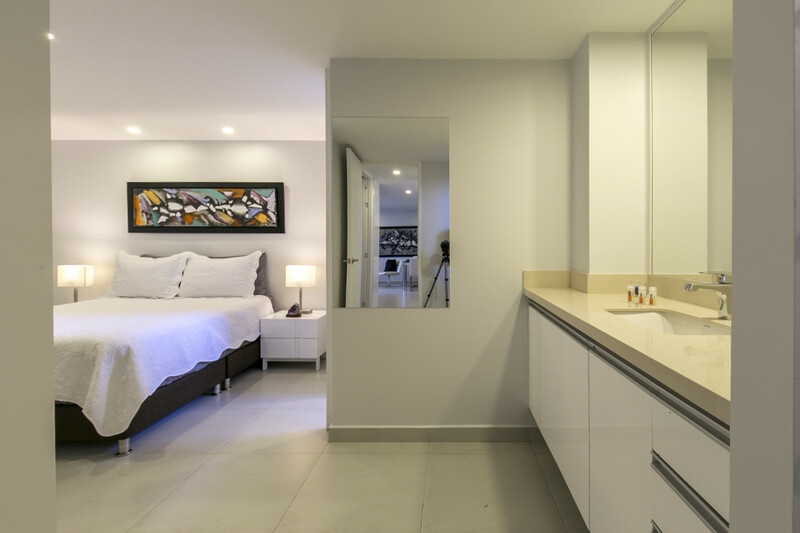 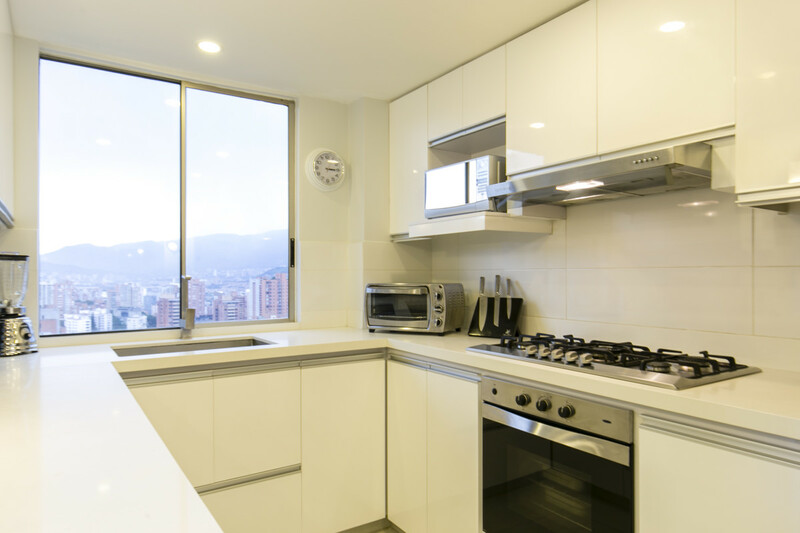 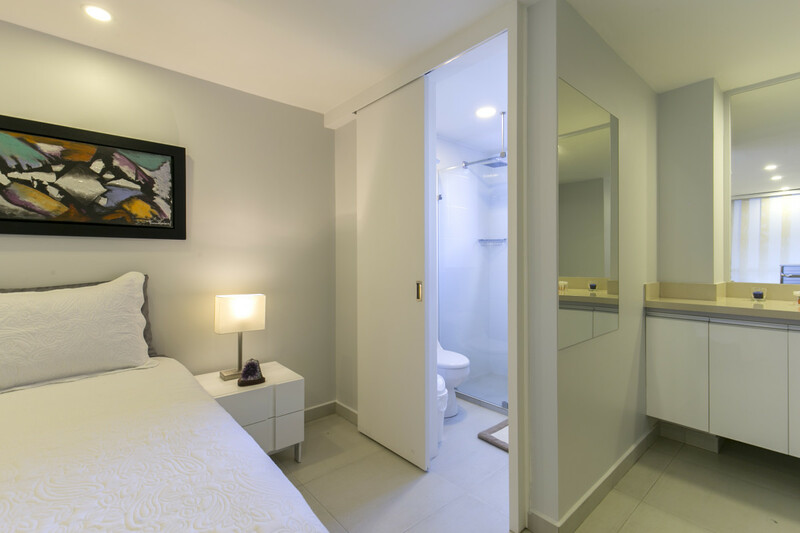 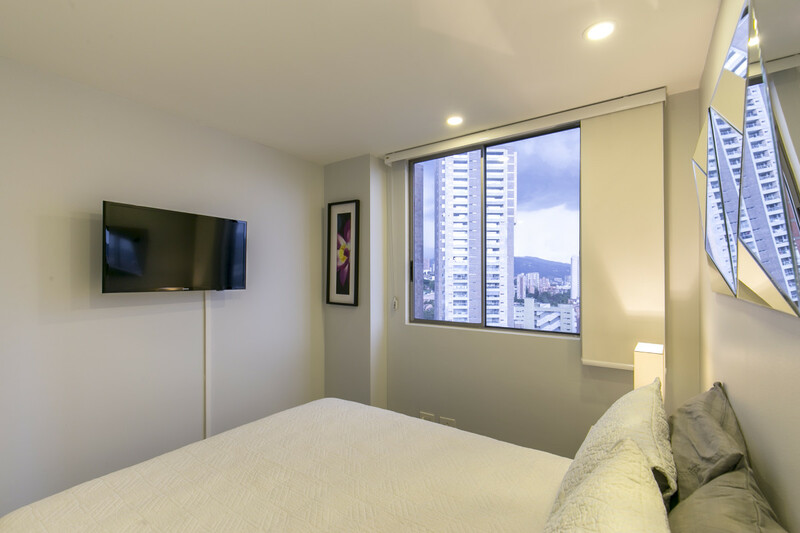 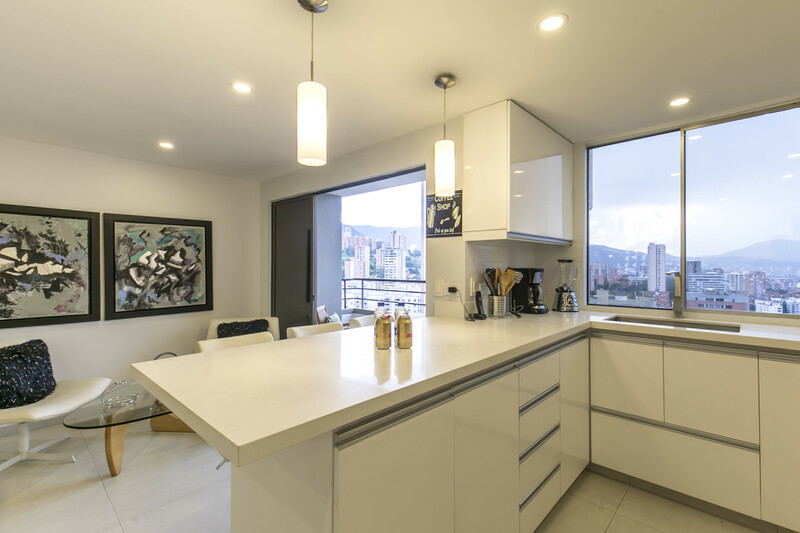 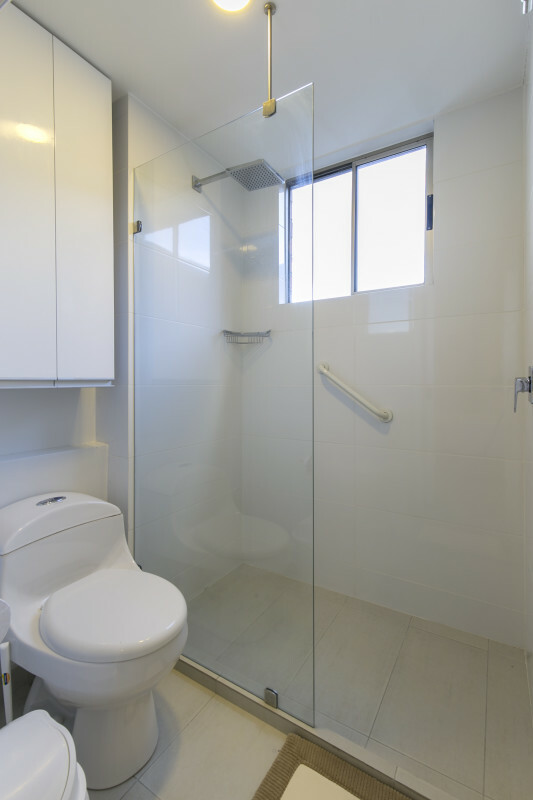 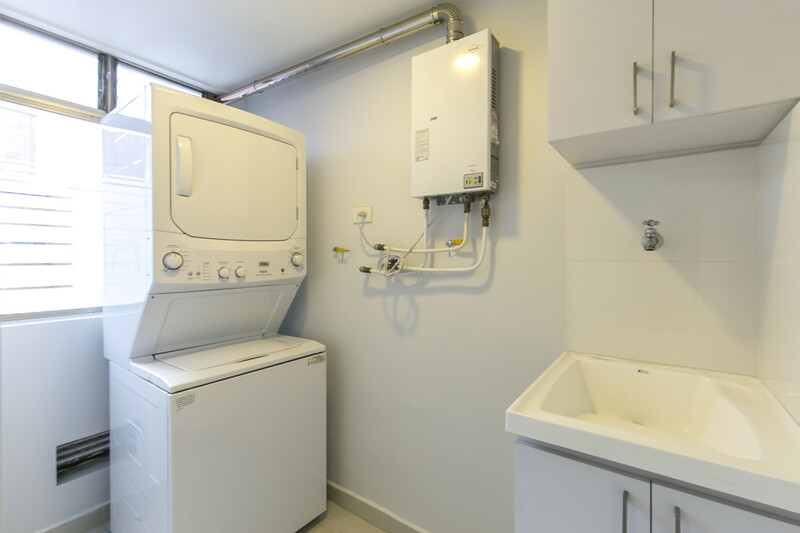 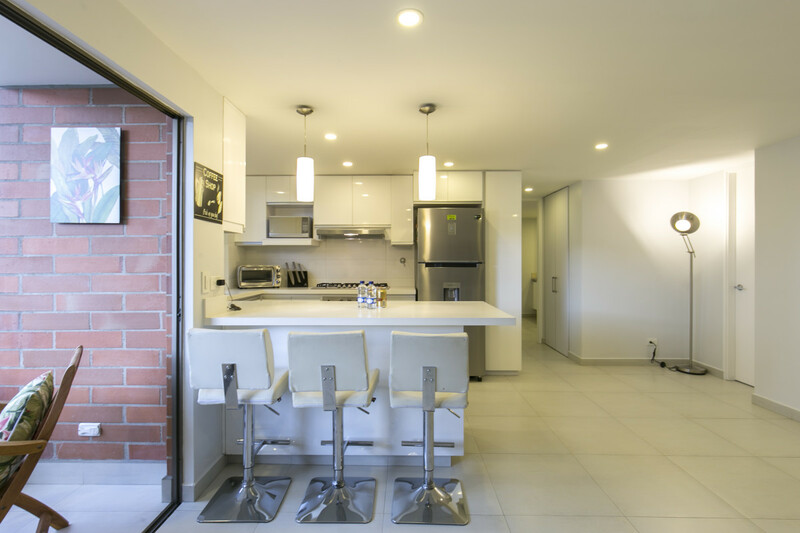 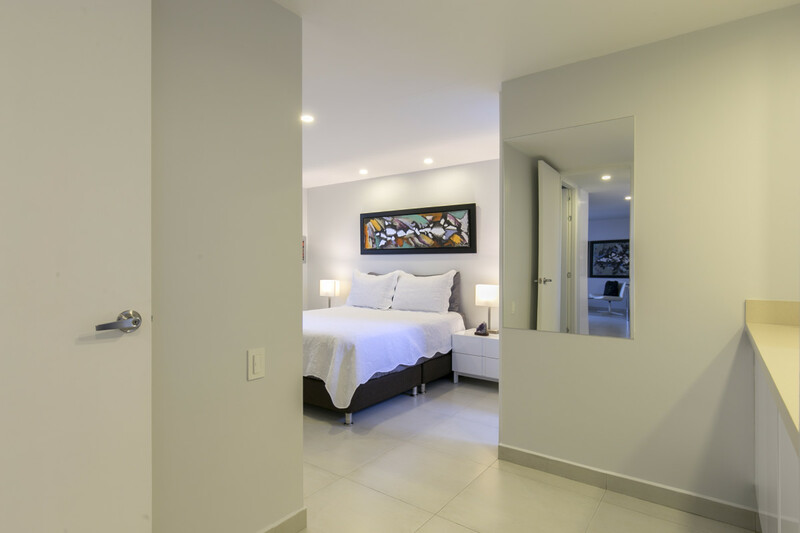 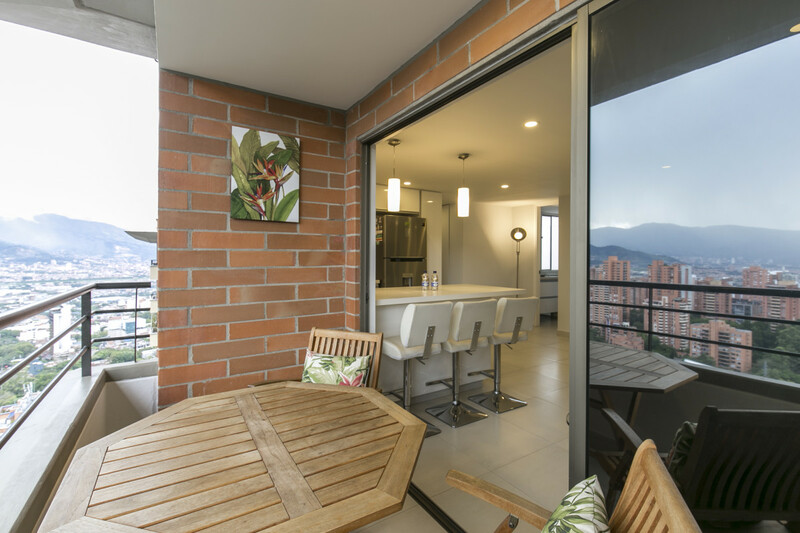 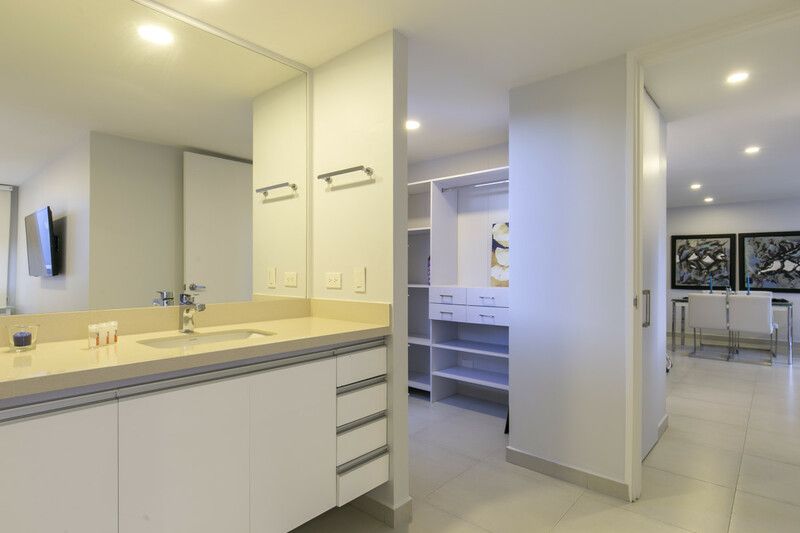 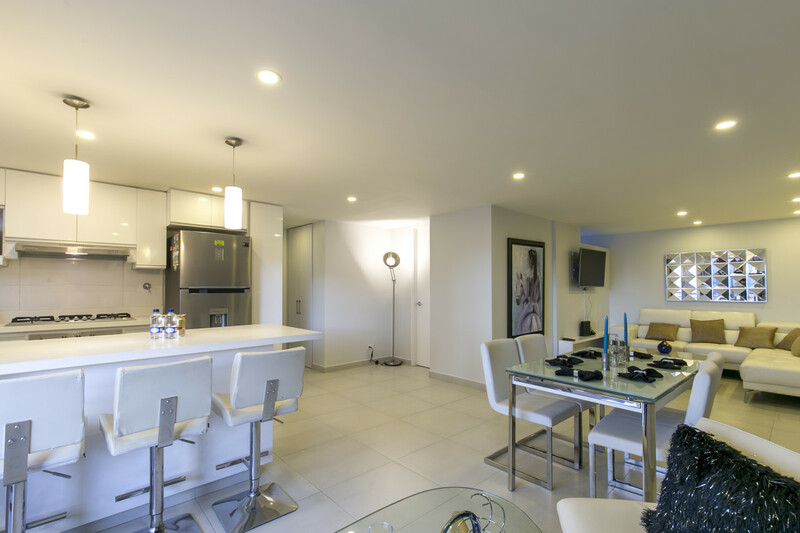 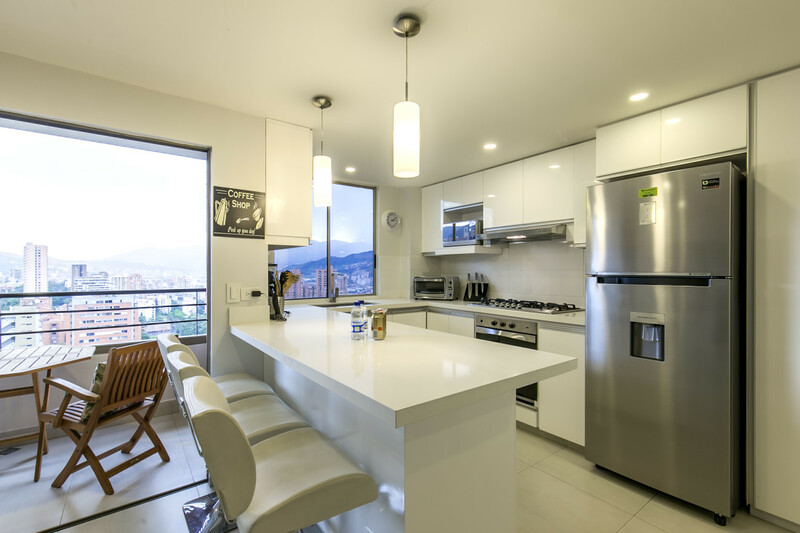 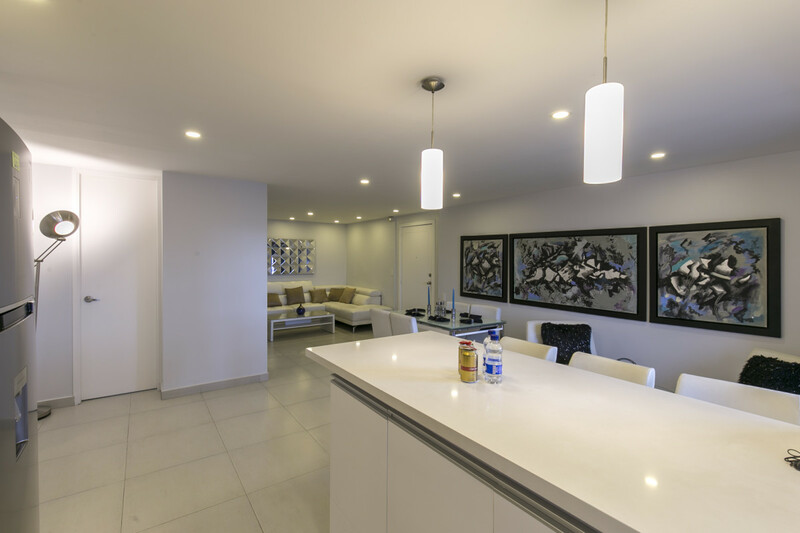 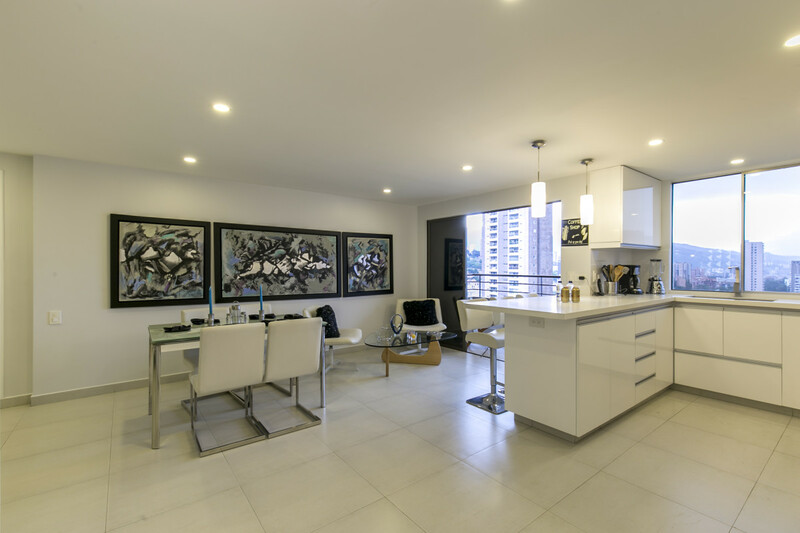 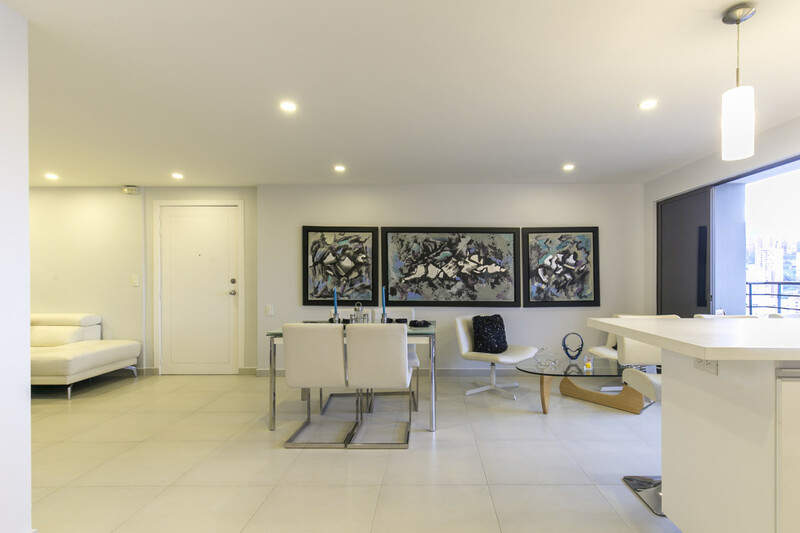 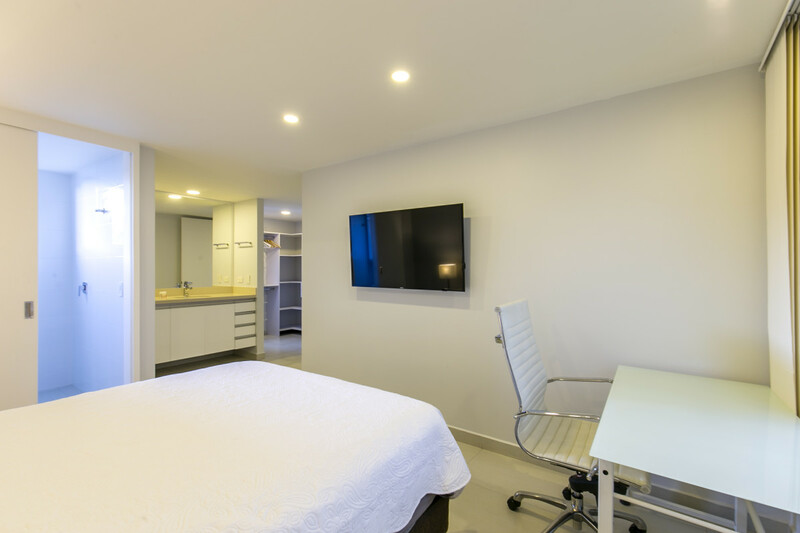 The El Vergel building is well located in the Provenza sector of the most exclusive neighborhood in Medellin, El Poblado. 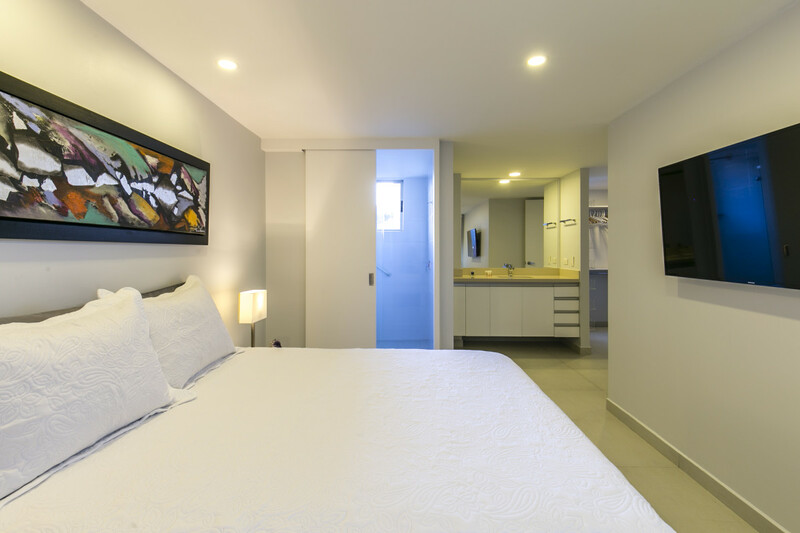 It's walking distance to both Verona and Vizacaya Shopping Malls as well as the best restaurants in Provenza. 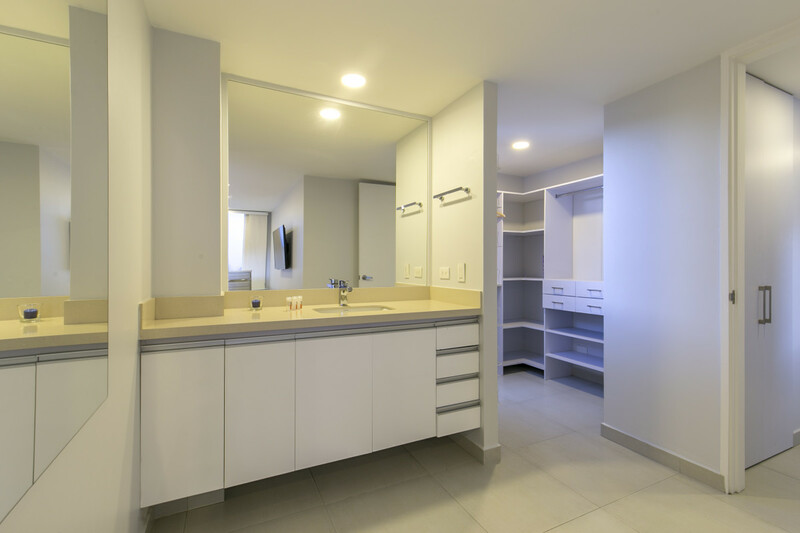 A short (5min/min. 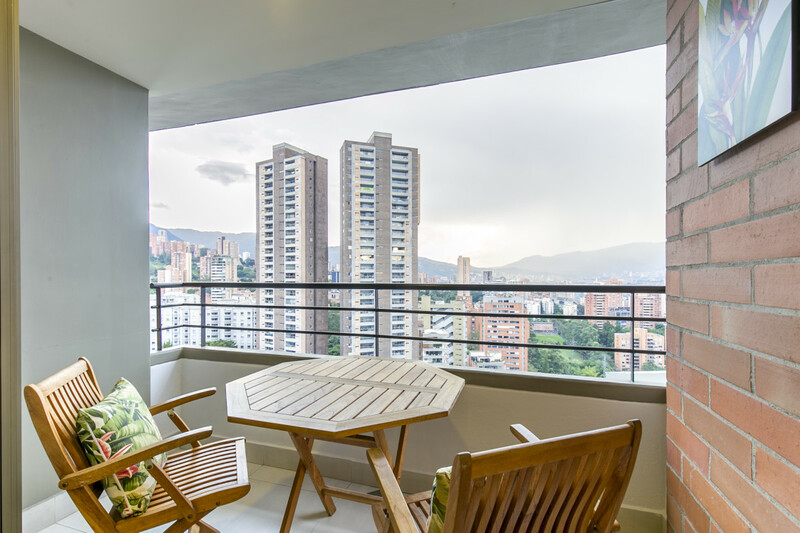 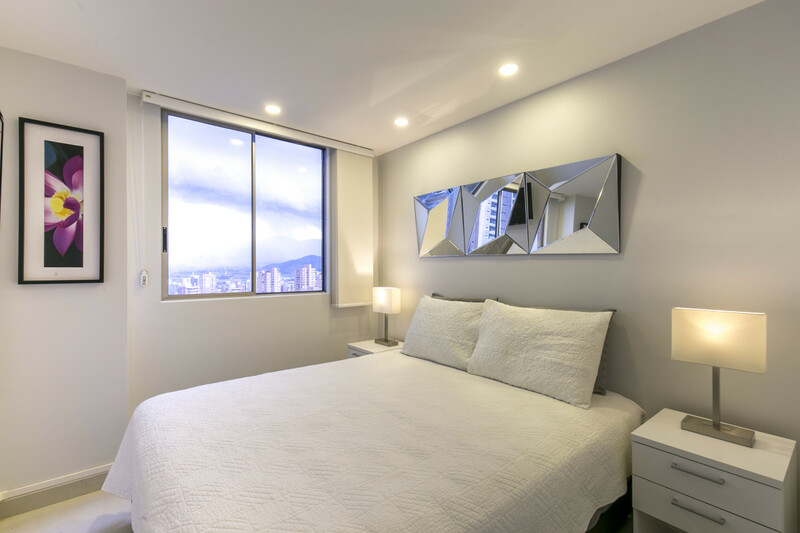 fare) taxi ride will take you to the Lleras Park, Calle 10 nightlife areas of Poblado and Avenida El Poblado (with La Strada Gourmet Mall, Santa Fe and Oviedo Mall) is just 7-10 minutes away by cab.